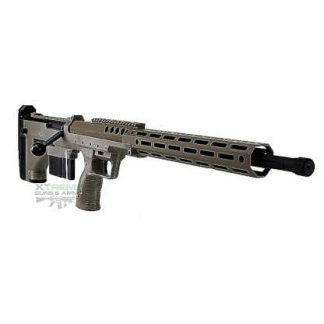 Desert Tech Rifles, DTA SRS Rifles Always in stock at the Best Price! 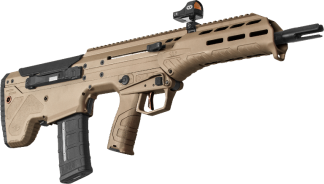 Desert Tech Rifles are trusted by military and law enforcement agencies the world over, DTA SRS Rifles are well know for their superior 1/2 MOA accuracy guarantee, the ability to change calibers in the mater of minutes and ultra compact Bullpup Bolt Action design. Desert Tech Rifles are on the cutting edge of weapon development, The Desert Tech MDR Rifle is their first semi-automatic precision rifle with the ability to change from 308 win to 6.5 Creedmoor, 300 Blackout and 5.56 N.A.T.O. Desert-Tech’s DTA Rifle Platform Line up include: DT SRS A2 Rifle, DT SRS A2 Covert Rifle, DT MDR, DT SRS A1, DT SRS A1 COVERT, DT HTI,. Desert-Tech was established 2007 of May and was formed to protect the freedom of the United States of America and our allies by providing the most reliable Long Range precision weapon systems in the world today. Desert-Tech strongly supports civil rights of the people to own firearms to protect themselves and their families and their property. DESERT-TECH also beleives in the use of firearms for self defense, hunting and Long Range shooting sports. DESERT-TECH provides excellent customer service to customers and dealers alike, So customer service matches their awesome product line up.